The artillery museum in St. Petersburg is located in the historic center of the city, in Kronverke Peter and Paul Fortress. It is one of the oldest museums in the Northern capital and one of the largest military museums in the world. It occupies an area of ​​17 thousand square meters and contains more than 850 thousand exhibits. Its full name is the Military History Museum of Artillery, Engineers and Signal Corps. 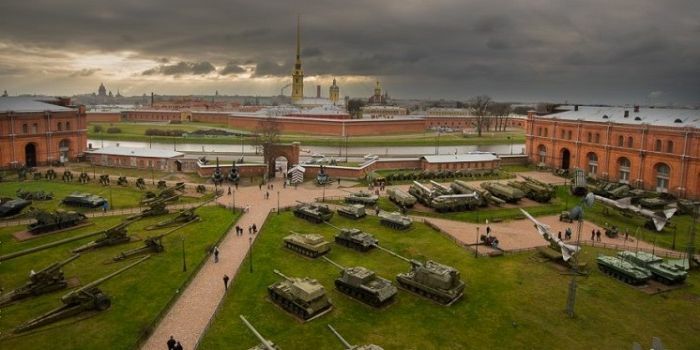 If you have explored the Peter and Paul Fortress, then you will see an open area behind it, on which military equipment is exhibited. This is the external exposition of the Museum of Artillery, which you can familiarize with by going through the big gate of Arsenal. Everyone may continue the acquaintance with the exhibits by visiting the indoor exhibition. There are a variety of weapons and ammunition and other valuables. Gathering of the collection started in 1703 from the time of the foundation of the Northern capital. People began to collect interesting and rare tools in the bastions of the Peter and Paul Fortress and it marked the beginning of the collection. At that time the collection was called Zeichhaus. The foundation date of the museum is 1756. Since 1868, it is located in the building of the old Arsenal, where it is available now. It had been called the Artillery Historical Museum until 1965. The exhibition was constantly replenished. And at the present time it includes weapons of different epochs - from ancient Slavonic swords and peeps to long-range missiles, as well as valuable items related to the military history of Russia. The exposition is located in 13 rooms. Many of the exhibits are monuments of science, technology, art. Here you can see the oldest examples of Russian artillery XIV-XVI centuries - ustyuzhenskiye iron squeaking; bronze tools of the master Yakov of the end of the XV century, as well as domestic rifled guns of the XVI-XVII centuries. On the ground floor Russian missile technique - from guns of the 18th century to atomic rockets is represented in a huge hall. There also is the demonstration of small weapons, including exhibits, donated by the outstanding Russian designer M.T.Kalashnikov. Many of the values ​​of the exposition demonstrate the high level of scientific thought of Russian scientists. The proof of this is the fact that similar inventions were made abroad much later. Military banners and military uniforms are presented. Archival documents tell us about the history of the development of the Russian army and the exploits of the defenders of the fatherland of all times. There is an interesting collection of paintings, drawings and sculptures. These works reflect the exploits of the defenders of Russia. The paintings of battle artists, N.S.Samokish, M.B.Grekov and other masters, as well as portraits of emperors, grand dukes and generals make an impression. Among the most valuable exhibits is a personal weapon of the Russian emperors (Alexander I, Nicholas II) as well as foreign commanders and military commanders. Gifts are also shown - artistically decorated items made of crystal and silver, including Faberge. Here you can see the ceremonial chariot for carriage of the banner, the military rewards of the emperors of Russia, as well as other rarities. In November 2002, in the inner courtyard of Kronverk, after the reconstruction, an external exposition was opened. It is located on an area of ​​more than two hectares. Together with the building of Kronwerk, it forms a single architectural and artistic ensemble. There are about 250 units of artillery, missile weapons and other types of engineering equipment. The technique for firing nuclear ammunition is also demonstrated. The presented exhibits here are an integral part of Russia's cultural heritage. 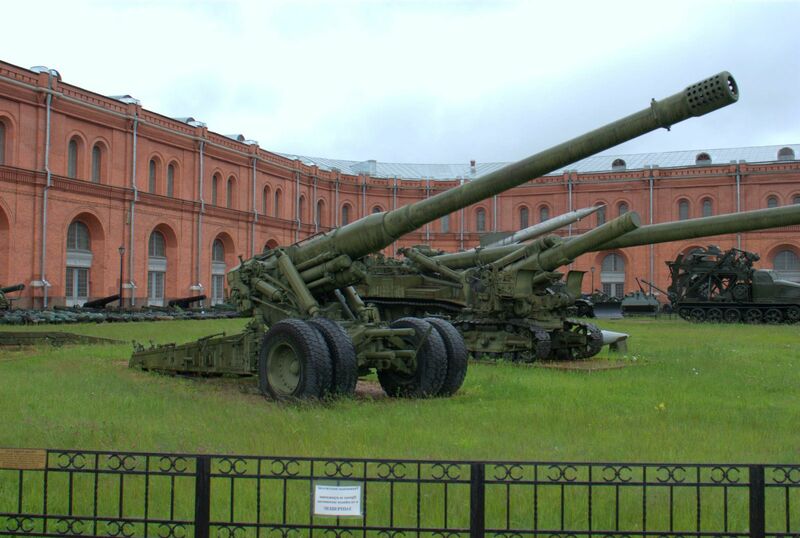 Visiting the exposition of the Artillery Museum in St. Petersburg is interesting not only for people connected with the military affair, but also to those who are proud of Russia's achievements in the field of defense. Here the exhibitions, lectures and excursions are carrying out. Such excursions are especially useful for the younger generation, as they inure the patriotic education of the youth.